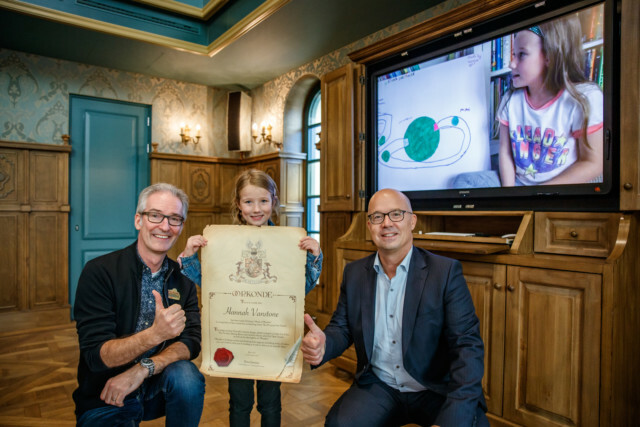 Just before the summer holidays last year my then 7 year old entered a competition to become the new Head of Wonder at Efteling theme park in Holland. To enter she had to tell Efteling and Family Traveller what the word ‘wonder’ meant to her. Efteling is all about fairy tales so Hannah designed a new hotel for Efteling based on the Princess and the Pea. You can see her winning design and video over on the Family Traveller website. A few weeks later a letter came through the door addressed to Hannah, she has a pen pal so I assumed it was letter from her and handed it over. A couple of minutes later Hannah came bounding into the kitchen beaming from ear to ear, the letter told her she had won the competition and was the new Head of Wonder at Efteling! 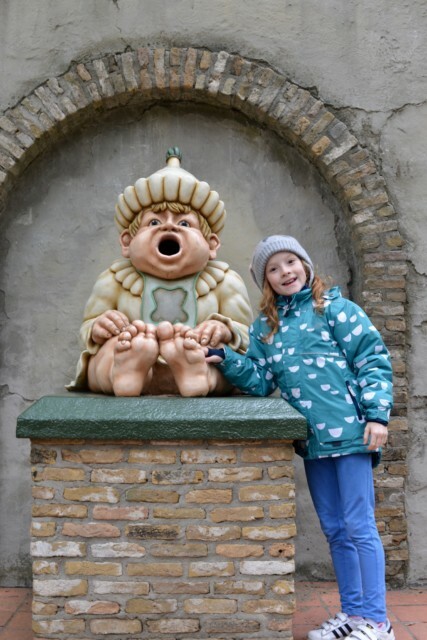 I’ve wanted to visit Efteling ever since I read reviews from other bloggers so I was almost as excited as Hannah. Her prize included a two night stay, park tickets, a eurotunnel crossing and two meals. We booked our trip for October Half Term and all counted down the days. 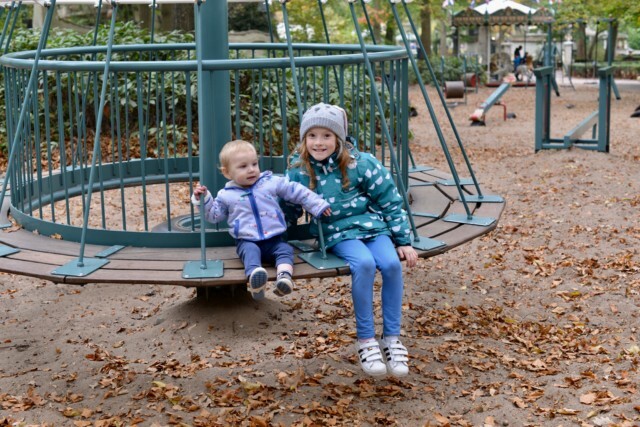 It’s not always easy travelling with 4 children, but Efteling isn’t too far to drive and the crossing breaks up the journey nicely. 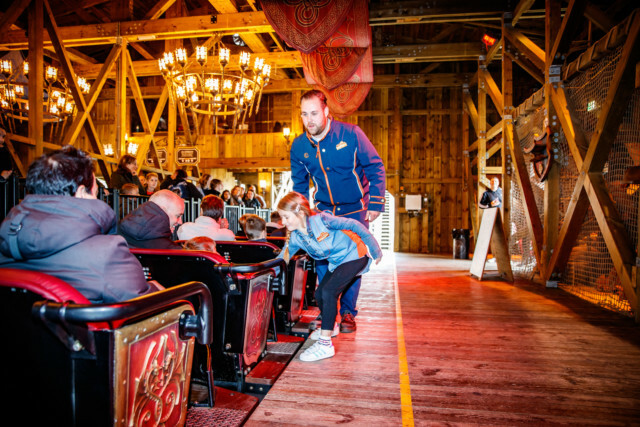 As part of Hannah’s prize she also got to take s sneaky peak behind the scenes, meet the chief designer and the CEO of Efteling. I will remember sitting in the impressive boardroom watching her winning video as she sipped a cup of tea next to me for a very long time. 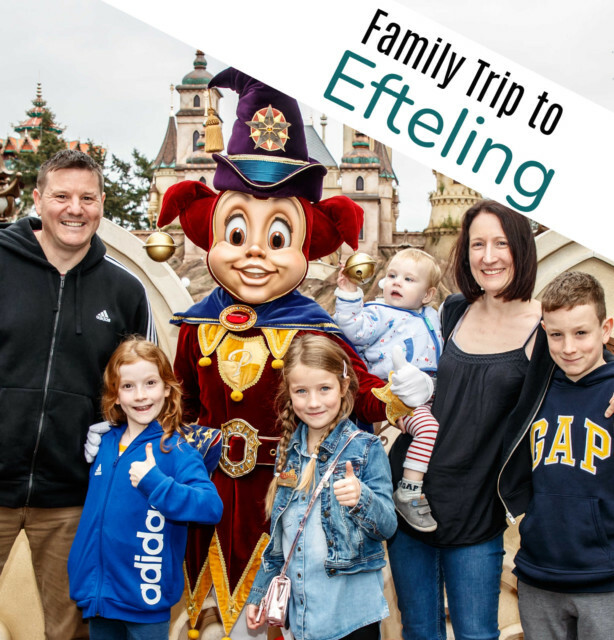 It was a magical experience for her, so thank you very much Efteling and Family Traveller. Penny from Parent Shaped flew to Schipol and then used public transport which is faster than driving, but overall there’s probably not that much difference if you include airport waiting times depending on where you live. 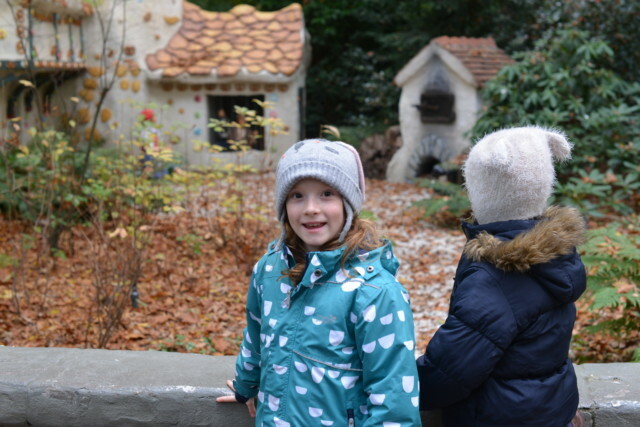 You can read Penny’s Efteling review here. It was about an hour and a half to Folkestone for us, 35 minutes on the Eurotunnel and a 3 hour drive to Efteling so perfectly manageable, even with a baby in tow. We were kindly given Flexi-Plus tickets for the crossing which I would definitely buy in future. They gave us access to the lounge to refuel and priority access to the next train. This was especially handy coming home from Calais at peak time on the Friday. Download the Efteling app, it’s super easy to use, allows you to highlight favourite rides, locate toilets and restaurants and see wait times. 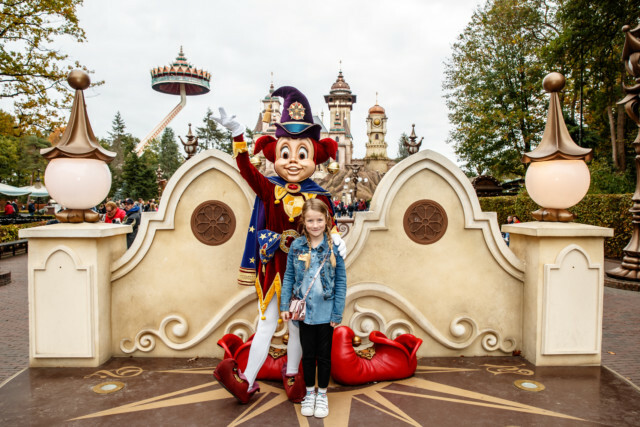 If you’re staying in Efteling take advantage of the early entry for hotel guests, but remember not all the park is open, so have a plan before you go. We headed straight for a rollercoaster and were first in the queue when the park opened. If you have small children there are lots of little park areas dotted around which Charlie loved. We took it in turns to play with him in a park while the other went on a big ride with the older children. Fairytale Forest is great fun to walk through, we spent ages remembering fairy tales and taking photos. Charlie was completely mesmerised from start to finish. The website describes Fairy Tale Forest as a living picture book, which is absolutely the best way to describe it. Don’t forget to visit the Paper Gobblers, you’ll hear them shout ‘Papier Hier’ as you walk by and if you drop some paper into their mouth they say thank you. Baby Gijs is a special one to look out for as he cries if he isn’t fed. We happened to be playing in the park where he’s located and kept hearing his crying but couldn’t work out where it was coming from for ages. Hannah and Zak will literally ride anything. Hannah gets most upset if she isn’t tall enough for a rollercoaster too, she’s fearless. So both were most excited about the big rides, especially when they heard screams as we drove into the hotel car park. Zak was most excited about Baron 1898. Baron plunges you down a 37.5m freefall at 90mph. It’s not for the faint hearted, but my brave 11 year old rode it alone first time as I was off with Charlie and Rob was with Hannah who wasn’t tall enough. He loved it! Hannah’s favourite rollercoaster was the George and the Dragon ride and Python. Sydney and I terrified each other on the Watercoaster and then calmed down on a quiet boat ride leaving repeat rollercoaster rides to the braver members of the family. Another part of Hannah’s prize was to help with the George and the Dragon ride which she also loved. You can see she took her role very seriously! Charlie loved Polka Marina where you sit in a little boat and go round and round. The queue for this was never very long and it’s located close to the big rides, so was perfect for keeping him entertained while our big ones went on the rollercoasters. The steam train was also lovely and a great way to see the rest of the park without tiring little legs. Laafland is an area around the mini monorail with little slides and stepping stones. It’s super cute and was very quiet when we were there, perfect for a mini escape from the busier areas of the park. You’ll also spot some more unusual Efteling inhabitants as you play. There’s definitely plenty for all the family in the park. We have a big age gap of 10 years between the boys, but it really didn’t feel like a problem, which isn’t something I say often on a holiday or day out. How long do you need to stay? We only really had a day and a half in the park which wasn’t nearly enough. 2 days would’ve been great and 3 even better! We didn’t manage to see any of the shows and missed a few rides I wanted to try as well. We were lucky enough to have two meals as part of Hannah’s prize, the first was at Het Wapen van Raveleijn which was definitely different. The experience starts with a live show just outside the restaurant which the kids thought was incredible and then you head inside. The restaurant is warm and cosy and we had a selection of appetisers waiting for us. The food was simple and tasty. If you want something fancy it’s probably not the place for you, but it was just what we needed after a long day. 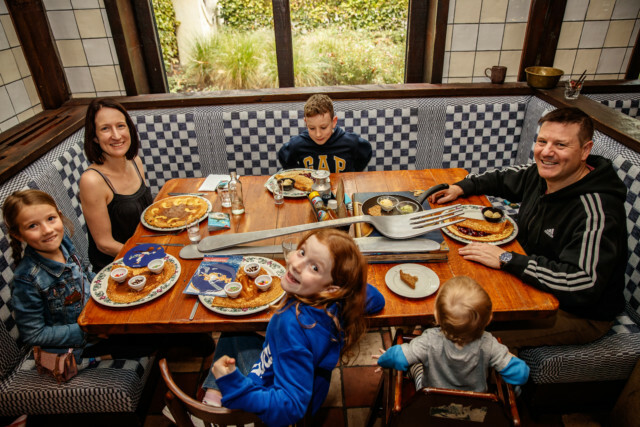 My favourite restaurant we tried has to be Polles Keuken Pancake House. It is beautifully themed and reminded me of the kitchen in Beauty and the Beast. Our first lunch there was extra special as it was part of the prize and we were taken straight to our table. We went back the next day as a normal customer and the food and service was just as good and the queue outside moved quickly. The pancakes were honestly the best I’ve ever had in a restaurant, hence our return trip there. Polles Keuken is definitely a must visit restaurant. For our second main meal of the trip we chose to eat in Restaurant De Proeftuyn in the Loonsche Land Hotel. We had breakfast here both mornings as well, which I can highly recommend. There was plenty of room, fresh pastries, bread, meat, coffee and the usual cooked breakfast and cereal items. It was a great way to start the day. Our evening meal was also beautiful. My burger was incredible, Sydney had a special treat of a grown up steak and Hannah enjoyed her kids meal. It wasn’t cheap, but very reasonable for a family of 6. We stayed in a cosy cottage in Loonsche Land which was prefect for us. We had two bedrooms, one with a double bed and one with a single and bunk beds, a kitchen and living area. The cottage looked out over the nature reserve. It was quiet and peaceful, definitely not what you expect when staying at a theme park, but somehow matched the Efteling spirit perfectly. If you’re a bigger party there are also 12 person cottage and houses. The Loonsche Land Hotel where we ate looked lovely also, and I spotted they have some themed rooms, which look like great fun too. We didn’t manage to get to Holiday Village Efteling Bosrijk to look round, but it also looks beautiful and has a swimming pool which is an extra bonus after a busy day in the parks. If we were to return I would maybe try and stay here just because the water play area looks fantastic as do the play areas. 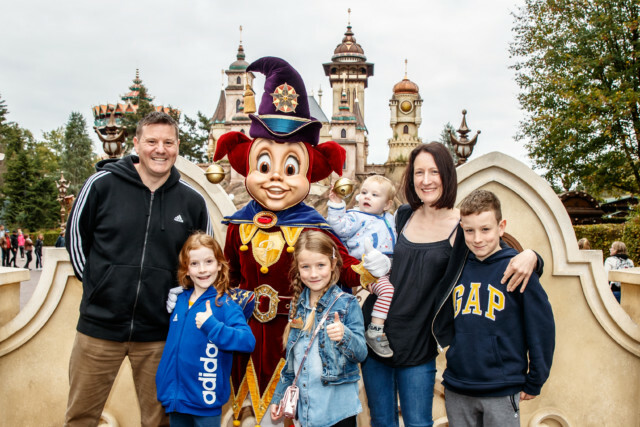 All in all we thoroughly enjoyed our trip to Efteling and it was most definitely a very special experience for Hannah. WOW what an amazing prize and “Head of Wonder” sounds like a pretty awesome role! Efteling looks amazing and somewhere I know me and my children would love to visit ourselves one day! Jess Howliston recently posted..My Child Likes To Play Alone. This looks like such a fun place! Never heard about it, but seems close enough for a trip. We are looking to visit this year, your post is really interesting and what a wonderful prize for your daughter my girls would have loved this too! It really looks magical. I’ve always wanted to go here, especially as we love the area so much. Maybe this year. Oh, wow! I’d not heard of this theme park before! It looks and sounds amazing! !